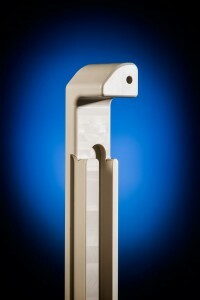 PEEK machining for medical devices has been on the rise in recent years, thanks to this material’s advanced properties that make it uniquely suitable for contact with the human body. In the last ten years, it’s become widely accepted for long-term, in-body applications over other plastics or traditional metals. It’s also found its way into numerous medical devices that must function well at all times, no matter the temperature or environment. What makes polyether ether ketone (PEEK) so popular in healthcare and medical device manufacturing? Keep reading for an overview of its properties and a few ways it’s being used in the healthcare industry today. Our precision plastic machine shop has worked with numerous clients who want to ensure their investment in PEEK brings about the results they’re seeking. We’re happy to share our expertise and encourage you to request a quote online for the project you have in mind. Can be sterilized via E-beam, steam, gamma, etc. Of course, applications of PEEK aren’t limited to the medical industry. This material finds a place in many other industries as well, including aerospace, food & beverage, electronics, petroleum, automotive and others. New applications for this versatile material continue to arise each year. PEEK can be fabricated to any close tolerance, but it’s important to choose your precision plastic machine shop carefully to avoid errors with this relatively expensive material.